Let’s look at ways to help your child build self esteem. Self-esteem is the way in which an individual perceives him or herself. Parents contribute greatly to a child’s self-esteem, and a parents’ perceptions and expectations of their child affect their child greatly. A healthy sense of self-esteem will help your child to flourish at school, at home and in the world. 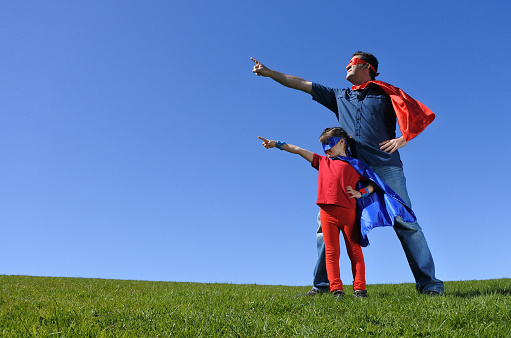 Here are 3 ways to help your child build self-esteem. 1. Provide Trust and Security. Children need to feel safe and secure in order to grow. Believe in your child and treat them as an honest person. Give your child opportunities to grow and flourish in an environment that suits them, whether that means fostering their interest in sports, theater or something else they choose. Give your children the opportunity to make real choices and decisions. Of course, allow them to make age-appropriate decisions, but let them have the opportunity to experience mistakes and failure. Failure within reason shows your kids that mistakes are not the end of the world, and are a normal part of growth and learning. Give constructive feedback and be a source of encouragement for your child. It is difficult to help your kids develop a healthy sense of self-esteem if you yourself struggle with self-esteem. Think about the way you talk about yourself, and ask yourself if you would treat a good friend the way you treat yourself. Focus on your strengths, and build up other family members by avoiding excessive criticism. A health coach can be instrumental in helping family members work toward a common goal and develop a healthy family dynamic. Consider working with KareBoost’s health coach to set your family on the right path towards developing healthy habits. Developing your child’s healthy sense of self-esteem will provide them with lifelong tools to grow and flourish. Our Health Coaches work with kids, adults and families. Let’s build your healthy family together! Let’s look at ways to get small Children to move more. Movement is healthy for all ages, and preschool aged children need to move to be healthy just as adults do. 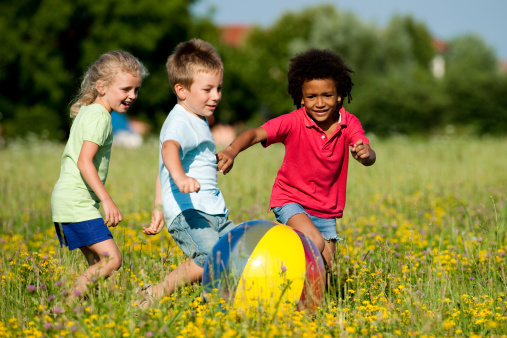 Regular exercise helps kids grow, builds muscle and bones, and develops motor skills. Keep it fun. Preschool aged children might be too young to enjoy organized sports with rules, but they will most likely enjoy just kicking a ball around with you. Exercise does not have to be formal to be effective, and just playing around can meet your preschooler’s activity needs. How much? About 60 minutes of activity a day is a good guideline for preschool-aged children. Free play. Play and exercise do not always have to be structured. Let your children explore the backyard or run around the playground, with your supervision of course. Set a good example. If your small children see that you truly enjoy going for a walk or hike, they will be much more likely to follow your lead. If you treat exercise as something to be enjoyed, not endured, your children will grow up with the attitude that exercise is pleasurable. Limit Screen Time. One of the main reasons that young children today move less is because of how prevalent TV, tablets and other devices are. Limit your child’s screen time to no more than 2 hours of day, and you might be surprised how naturally your children start moving more. If you need more helpful advice on this topic, come work with our Health Coaches or even our Youth Fitness Specialist at KareBoost Health. Should Kids Take Vitamin Supplements? People often ask me, Should my kids take vitamin supplements. Vitamins and minerals are important elements of any healthy diet for children. While the human body cannot produce adequate amounts of many vitamins, obtaining these vitamins from nutritional foods is essential. Children with a balanced diet rarely need vitamin supplements; however, exceptions do exist. Consult your Pediatrician before your kids take vitamin supplements: If you are concerned that your child’s nutritional needs cannot be met through diet alone, talk to your pediatrician first. Large quantities of vitamin supplements are not necessarily healthy, and your pediatrician will be able to recommend appropriate supplements. Children with a poor appetite, erratic eating habits or a very restrictive diet may need a multivitamin or other supplement to address missing pieces in their diet. Work With KareBoost’s Pediatric Registered Dietitian (Nutritionist): Most nutritional needs can be met through a balanced diet, but if you are struggling to figure out what that means for your family, consider working with our nutritionist. A nutritionist can help you plan meals and devise a plan that is not only nutritious but also delicious. 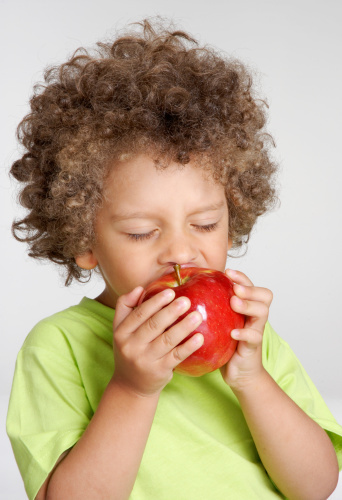 Eat a Wide Variety of Fruits and Vegetables: One way to work towards a balanced diet is by including many fruits and vegetables in your child’s diet. For example, Vitamin C is found in citrus fruits, strawberries, spinach and broccoli. Vitamin A, essential to normal growth and tissue repair is found in yellow vegetables and also diary products. Also look for foods with calcium, such as low-fat dairy, Vitamin D, such as eggs, and iron, such as beef, turkey and spinach. Remember, when in doubt about your child’s nutritional needs, or before your kids take vitamin supplements consult your pediatrician. After following your doctor’s recommendations, consider meeting with our nutritionist or our health coach to design healthy meals that your child will like. Added sugars are sugars and syrups added to foods or beverages when they are processed or prepared. 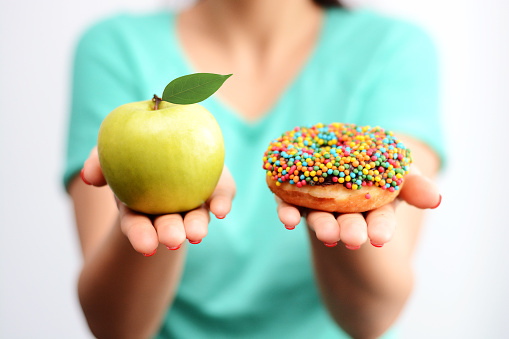 If you are focusing on eating healthy and staying within your calorie needs, look to limit added sugars. These are not the naturally occurring sugars founds in milk and fruits, and for a healthy diet, include a wide variety of fruits. Here is what to look out for when trying to limit added sugars in your diet. Read food labels. Developing the habit of reading food labels can help you to identify added sugars. In particular, be cautious of processed beverages, such as soft drinks, energy drinks and sweetened coffee and tea. Candy, cakes and other desserts can be a major source of added sugars, as can jams, syrups and other sweeteners. Understand food labels. You may be looking for added sugars, but often manufacturers call sugar by multiple other names. Look out for names such as dextrose, fructose, corn syrup, maltose, and anhydrous dextrose. Also, remember that maple syrup, molasses, honey and agave are still added sugars, even if they are marketed as “natural”. Dietary Swaps. Some simple food and beverage substitutions can help to greatly reduce added sugars in your diet. If you are craving something sweet, choose fruit as a dessert or snack. You will boost your fruit group intake and satisfy that craving. Cutting out soda and replacing beverages with water, unsweetened coffee and tea can also have a big impact on your diet. By reading food labels, knowing what to look out for, and making some simple substitutions, you can greatly reduce added sugars in your diet and increase your healthy habits. A healthy diet is sustainable, and choosing packaged and natural foods such as fruit, plain yogurt and frozen fruit with no added sugar can greatly impact your health in a positive way. Come work with our Health Coaches at KareBoost Health to learn more about added sugars and other ways to improve your health.